Join us this November for an exhibition of British painter-printmaker Louise Davies‘ spectacular landscape prints and paintings. 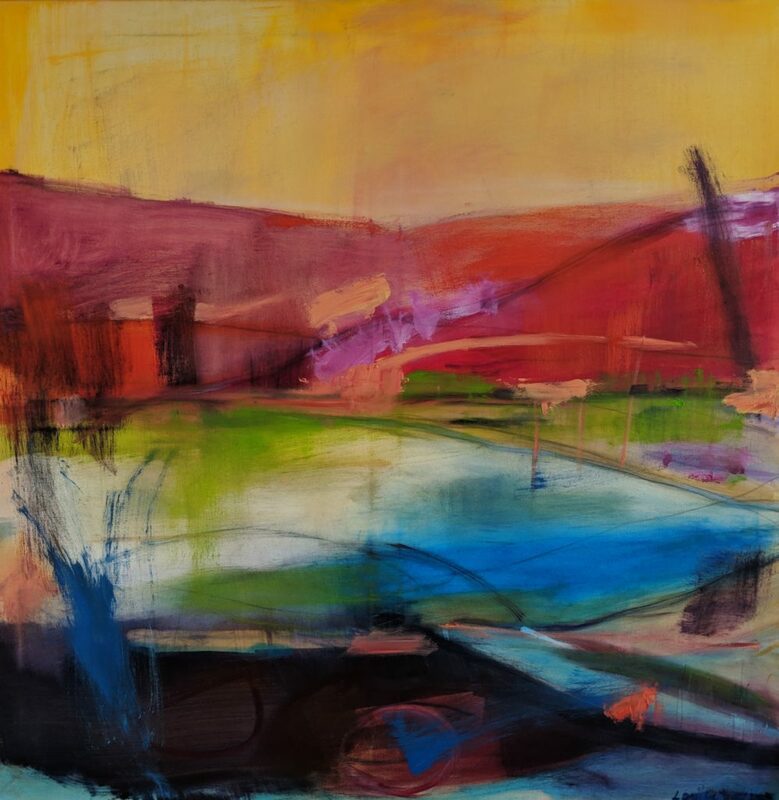 From windswept Yorkshire moorlands to autumnal London river scenes and sun-drenched Spanish almond groves, Louise’s fluid lines, shifting shapes and sumptuous palette conjure a strong sense of emotion and memory around time and place. Says Louise: “I think memory is important in my work. Perhaps it stems from a childhood in the West Country, playing and walking in the landscape, feeling that closeness to nature. 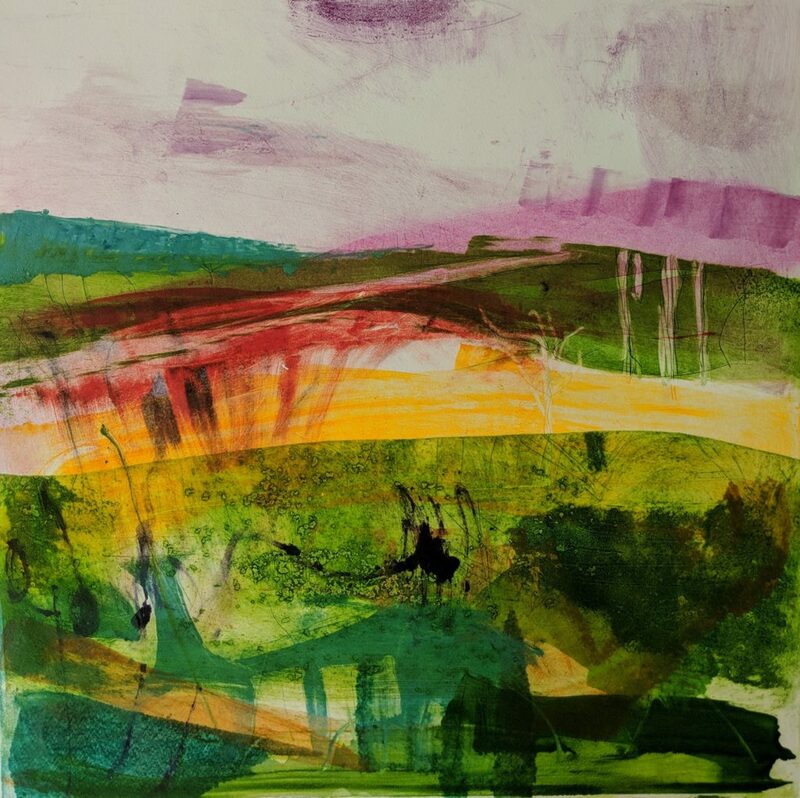 For the first time, ‘The Elements In Colour’ (November 2-25) brings together in one large-scale show Louise’s new oil on canvas works alongside her etchings and monoprints. 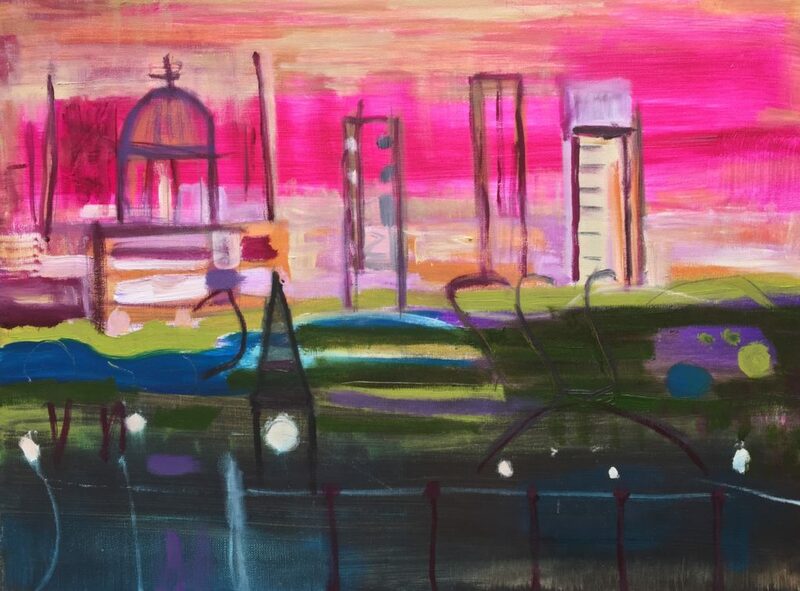 In all, Louise’s painterly approach sings through, pulling together intense layers of colour and overlapping, abstract forms with sweeping lineation. 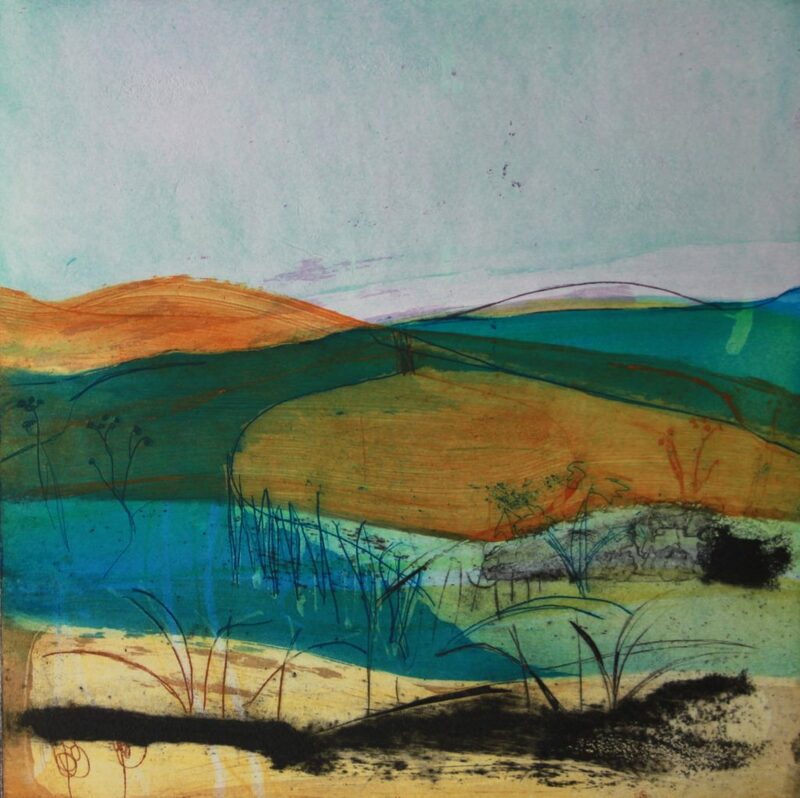 A Fellow of the prestigious Royal Society of Painter-Printmakers, Louise spent her childhood in Bath and its surrounding villages and now lives and works in south east London. She has a BA in Fine Art from Central Saint Martins and an MA in Printmaking from Camberwell College of Art. Her work is held in many public and private collections, including the Ashmolean Museum, Oxford. Louise Davies, ‘The Elements in Colour’, November 2 -25 (Meet the Artist, Saturday 3 November, 1-5pm), free entry, For Arts Sake, 45 Bond Street, Ealing, W5 5AS, Mon-Fri (Wednesdays closed), 10am-5.30pm, Sat 10am-6pm, Sun 12-5pm.